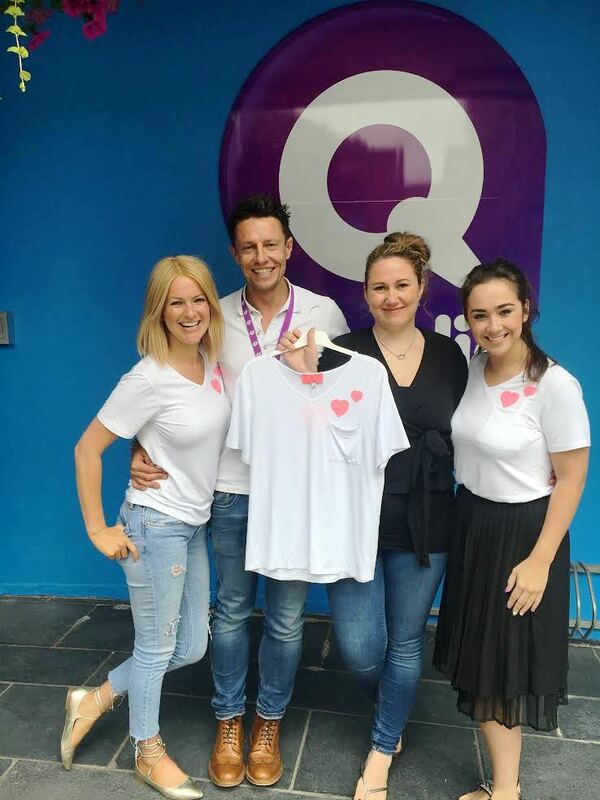 Local woman Laura Parkinson has teamed up with two of NI’s most influential fashionista’s to create a fabulously fashionable T-Shirt in order to raise awareness of Breast Cancer in Northern Ireland and to help raise funds for two charities, Pretty n Pink and Breast Cancer Ireland. Anita Mackey and Donna Ross of My Sister’s Closet Boutique and Fashion Blog became good friends with local photographer, Laura Parkinson soon after Laura photographed Anitas’s wedding in the summer of 2016. The new friendship immediately experienced one of the most traumatic events any friendship should ever have to endure. Laura, aged just 35, had been diagnosed with breast cancer. Watch the video below with Stephen & Cate to hear more about Laura's story. Pretty ‘n Pink, which will benefit entirely from sales in NI, was created in 2006 by Belfast woman Noleen Adair, the charity operates within Northern Ireland and is run by a very small team of people and local volunteers from across the province. They provide financial and other support services to patients with breast cancer and their families through a charitable Support Fund, social outings, and an online support group. The charity also helps advance education of breast cancer awareness and breast care awareness through information provided on the website and from literature produced and distributed by the charity. These stunning T-shirts are priced at £27 and available from My Sister’s Closet Boutique in Dungannon or online here. Funds raised from T-shirt sales will be split between Pretty n Pink and Breast Cancer Ireland. To order your T-Shirt, please visit the official website here. Available from Friday 23rd June 17.